Welcome to part 3 of my mini-series “Trip Back on Memory Lane“. This segment will talk about the 32bit operating system OS2 Warp by IBM, but also about the history of my bulleting board system “Closed Society”. Note: Correction to one of the statements that I made in the video. It was a Pentium 100MHz and not a 486/100 where I ran the BBS with OS/2 on. Sorry for that. After I had my BBS running on individual PC’s that were connected with each other and a “file server” via Novel Lite and then Lantastic for a long while, I got around buying a single “power PC” (=new) that was capable to run all nodes of the BBS all by itself.?? But let me take you a bit further back in time to when I first got started with my BBS that eventually lead me to the use of OS2 as the operating system of choice to run my multi-node bulletin board system.?? I had not much money when I started my BBS. I was co-sysop at some other boards and also played around with local installations of Bulletin Board Software. I did not want to start a 1 node BBS (I had a U.S. Robotics 14.4 HST Courier with an “after market upgrade” to a full Dual Standard), which was kind of lame those days already (early 1994). A friend of mine, who was known as “Monday” (Martin) in the scene said to me one day when the subject came up in some conversation that I could use his Zyxel modem, because he is hanging out at my place all the time anyway. I first thought that it was a joke, but it wasn’t. I got a spare 386/25 without monitor around (the first PC that my dad bought in 1991 and that I used, when I was still living at my parents), but did not want to sacrifice my Pentium 60MHz for the BBS. The 386 had 4 MB memory, but that was not enough to run two nodes on it with QEMM/DESQVIEW (the cheap multitasking software solution for MS DOS). I did not have two COM ports with UART controller, which might would have done the job, but I got plenty of scene friends with spare computer parts. It did not take too long and I had a second PC for the BBS together. A 286/10 MHz, 512 KB Ram+Memory Extension card (full 5 1/4 inch height and length) to get it up to 640 KB, a 75 MB 5 1/2 inch full height, full length MfM hard disc, COM port and even a huge monitor capable of EGA mode. I don’t remember if the PC had a VGA card or not or if the monitor simply could not support VGA resolution. I also got a keyboard and monitor switch somewhere and thus got everything that I needed to setup a BBS with two lines. Okay, the phone lines were missing, but I got the two lines within a few weeks rather than months, years or not at all as in East Germany. I don’t remember for sure, but the fast availability of the extra phone lines (which surprised me a lot), might have accelerated the process and my efforts to get all pieces together. I first wanted to use PCExpress instead of PCBoard, because I did not have much experience with it yet, but then decided for PCBoard, after their Version 15.x release, when they introduced the PPLC compiler and the PPL scripting language to customize the system (the compiled PPL scripts, also known as PPE’s). One day I had a serious dispute with Monday and he literally ripped his modem out of the BBS and took it with him. The BBS, which gained more and more popularity up to that point was at risk at that moment. Another friend of mine with the handle (and real name) “Jan” stepped in and loaned me an US Robotics 16.8 Baud Dual Sportster modem, where I could pay him the money back over the course of several months. Monday and I consolidated our differences a few weeks later and he offered his Zyxel modem back for the BBS. That was the point when I looked into an extension of the BBS to 3 nodes. The computer for the third node was even cheaper than the one that I put together for the second node. It was a 286/16 MHz with 640 KB or 1 MB memory (I cannot remember) and no hard drive. I booted this node up from a floppy disk, which had the network drivers and the PCBoard start-up files on it. If I re-call correctly was that the reason why I switched from Novel Lite to Lantastic. I could not fit everything that I needed on a single floppy disc with Novel Lite. MS DOS Command.com, Himem.sys, Ansi.sys, PCBoard.exe, NE2000 drivers, autoexec.bat, config.sys and network Configuration files all had to fit too. There was little room left for the network software. Lantastic did the job. As you can imagine, the 3 BBS computers running 24/7/365 (none of them energy efficient nor low noise by any means), plus my personal PC, which was also running several hours per day and almost all day during the weekends, sucked up a lot of power. It was also heating my one room apartment enough that I did not even had to turn on the heater during the Winter (not one-bedroom, one-room, also called studio). My phone and power bills competed both with my rent and succeeded (in case of the phone bill) or came very close to it (the power bill). It was not just practical, but also cost efficient to move to a different hardware solution for the BBS. The Pentium processors became affordable and memory prices dropped as well. So I got a Pentium with 100 or 120 MHz (not sure) and 16 MB Ram, which was capable of running the 32Bit operating system OS/2 by IBM and all my nodes on a single machine. I also got around to buy the required UART chips for the COM ports, which were necessary for this as well. I did not use OS/2 before that and knew that I needed help to get it done right. A friend, who worked in a computer shop and got me a deal for the custom build Pentium PC, helped with the OS/2 installation and configuration, specifically the configuration of the required COM ports for the modems. His name was “Gee”, who was also a sysop. He ran the BBS “Skylight” where I created my personal favorite ANSI for. Gee had a very good, who agreed to help with the installation and configuration of PCBoard in an OS/2 multi-tasking environment. That friend was Cyz, sysop of the non-pirate BBS with the name “Shogunat”. Cyz would become also a friend of mine and the first Co-Sysop of my BBS (I did not have one until then and Monday did not count hehe). His BBS “Shogunat” would become also the Superior Art Creations (SAC) Application HQ. He would also become a SAC member, until the PPE division was split-up from SAC to form the new PPE release group “Peanuts”. A Teles ISDN card was also added to the computer, bringing up the number of nodes of my BBS to 5.?? That must have been in 1996. During the years 1996 and 1997 the number of modem users declined significantly. Mainly due to the fact that the German Telecom was privatized, had the opening of the market looming on the horizon and used the remaining months it had left as a monopolist to increase (they called it restructuring) of the phone cost to a world-record high. The phone cost during prime-time (day time) for a LOCAL phone call rose to 23 Pfennig/3 minutes (about 10-12 cents/3 minutes). BBS usage virtually shifted entirely to the off peak hours between 6 PM – 5 am for local calls (where the cost dropped to 23 Pfennig/6 and 12 minutes) and 2 am – 5 am for national long distance calls (I believe the rate dropped to the rate of the local prime during those hours, 23 Pfenning/3 minutes). I kept one Modem node for the few remaining local callers who did not switch to ISDN yet and for international callers from mostly Israel and Canada, where Blue Boxing and other means of free calling still worked and ISDN was not commonly used. I dropped two of the modem notes and replaced them with two additional ISDN nodes. I cannot remember when the BBS ran any smoother than under OS/2. I never had any serious problem with it. Certain things I did not even touch or only once or twice, since the OS was installed with the help of my friends initially. Computer performance became an issue, when I had all nodes busy, which lead to the memory upgrade to take care of it. I had a QIC-80 tape drive (120 MB capacity) for backups of all the data (warez mainly) that poured into the BBS and out every day and used the software DualStore for OS/2 with it. If more than 2 nodes were busy and I ran a tape backup at the same time, things could become critical, depending on what the users did in the BBS. The great application WatchCat was a savior on several occasions. The tool monitored all running processes, including the MS DOS and Windows 3.x emulation processes as well as native OS/2 processes of course. I could specify for each process (and application) a priority (in relation to one another). When system resources ran out and a crash imminent, WatchCat terminated processes with lower priority first to get the system stabilized again. It also prevented any process from going rampart and locking up the entire system and killed it, if that became necessary. I miss a tool like that for Win32 operating systems and I am sure that you do to, every time when you have a process that brings your computer to a virtual halt, making it non-responsive to any attempts to load the task manager and thus impossible for you to kill the process. You end up with two options in this moment. 1) You wait and hope that the process returns to normal and 2) reset/turn off the computer and lose everything that you had open and were working on at that time. Since you don’t know, how long it might take for option 1 to resolve the problem by itself, option 2 is more likely to win. This percentage increases the less patience and trust you have for option 1. I packed the tools that I mentioned and some other tools and things that I used with OS/2 on my BBS machine into a single archive and made it available for download, including some custom made OS/2 program icon graphics that I designed for my own BBS. After my BBS was busted in 1998, I started a new BBS (the one that I was preparing for actually when I was busted). The old equipment was gone of course. I got my personal PC back, which had almost no pirated software on it and I had of course the original BBS software and OS etc. I did not get the BBS hardware back, because it was evidence for my case and would become part of my “punishment” when the case was settled without a conviction. The new Closed Society was public and entirely DEMO, Art and PCBoard Tools oriented, the stuff that made up most of the software that I had on my private PC anyway. Things changed though and the BBS usage declined after an already?? slow re-launch. The time was 1998. I used the Internet myself since 1994-95 professionally a little bit and 1996-97 intensively (privately), mainly IRC and FTP at first, but then also the World Wide Web (WWW) a little bit later. In 1998 I did most of the stuff on the Internet and rarely called other bulletin board systems anymore. Some sysop’s hooked up their site to the Internet, providing limited ISP services to their users. It was the last attempt to safe their BBS for many. I was thinking about it briefly, but realized quickly that those attempts won’t change the direction where things were going already. Unlike many fellow sysop’s who did not push the “off switch” of their BBS until some hardware or software failure that required some action to be taken in order to bring the system back up, I pushed it deliberately and concisely. I heard the rumors about Clark Development working on some software to bring the bulletin board systems into the Internet age, but the company went out of business before it could finish a working and public beta version of it. The software was titled “Metaworlds”. Clark Development released in October 1995 already tools to connect PCBoard to the Internet, but those were rather crude solutions that fall into the category “workarounds” at best. They must have almost finished it when they went bankrupt in July 1997, because on August 1, 1997 was still an article published in “Computer Shopper” that announced it (source: Highbeam.com). 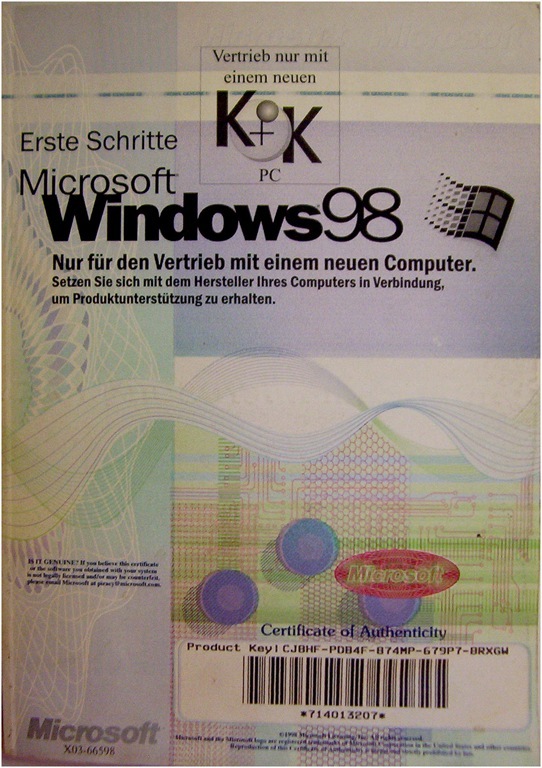 I never saw a copy of the software anywhere though, nor saw any installation of it. Unfortunately, IBM’s OS/2 would follow the route that bulletin board systems went as well. It’s a big shame, if not an outright scandal. OS/2 had many short comings compared to Win32 OS solutions by Microsoft, specifically in regards to multi-media support and un-easy installation process, but it had several core advantages that Microsoft has not been able to get right up to this date. Windows 7 looks at first glance promising to deliver on a few aspects of what OS/2 was famous for, 10+ years later. I am not a Linux guy and admit that I did not even install ANY available Linux distribution yet.?? That’s why I won’t make any comments to that in regards to how Linux compares to OS/2, especially in regards to performance, reliance and system stability. I would only guess and repeat what I heard from someone else, but that does not provide any value to you or me.?? The Banks were some of the last users of OS/2 who did not want to let go of it, so they also did with Windows NT/4. Banks knew why. Reliability and Security are two of the core competencies of a bank. They know what software delivers best on those two things when it comes to general main stream software in the market place. I am looking forward to the time, when system crashes and blue-screens will become the exception rather than the norm once more. I enjoyed the short period when I was able to experience this myself first hand and won’t forget that the things that Microsoft operating systems lag to this day are not impossible to do. OS/2 was not just a proof of concept, but a full-fleched reminder that it is possible to do and therefore possible to do again. Note: I missed in this episode of my series the user manual and license for my original Windows 98 operating system software. I found it today, but won’t spend the time to work it into the video. I just publish it here in this post that you can also see it. – WatchCat process monitor, manager and protector for OS/2 Version ?.? ?